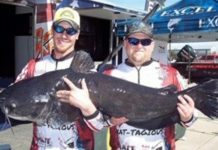 A great deal of time and money has been expended to this point in producing a quality feed. Last year was extremely difficult to get forages harvested in a timely manner and with good quality. It has also been a challenge to feed livestock this winter and not damaging feeding areas with all the mud. Heavy use pads have certainly helped some reduction in mud and feeding livestock. Therefore many are looking at ways to stretch their hay supplies to make it until spring and forages begin to grow again. Many producers couldn’t get all forages made last year, especially third and fourth cuttings. One way to stretch your hay supplies is to simply prevent as much wastage as possible. Research shows that wastage is a much as 40 percent or more when cattle are allowed free access to large bales without feed racks. Wastage is greater with low quality than with high-quality hay. 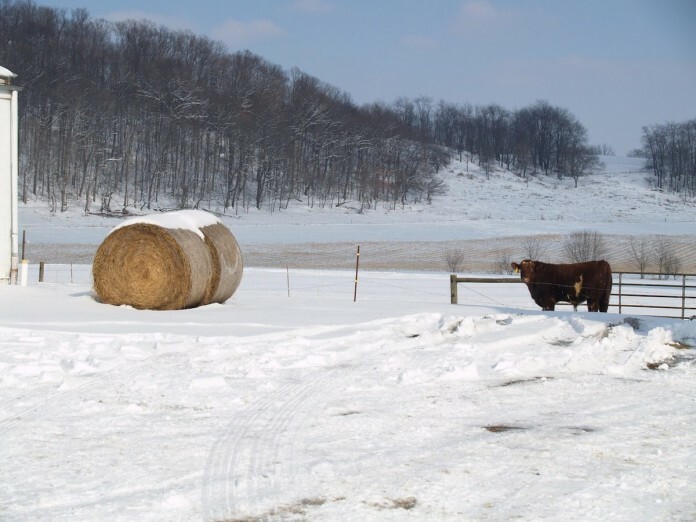 For most producers, large round bales are fed to cattle in a ring or some type of feeder with free access. There are several different designs of feeders that vary in price, ease of movement and reduction in hay wastage. 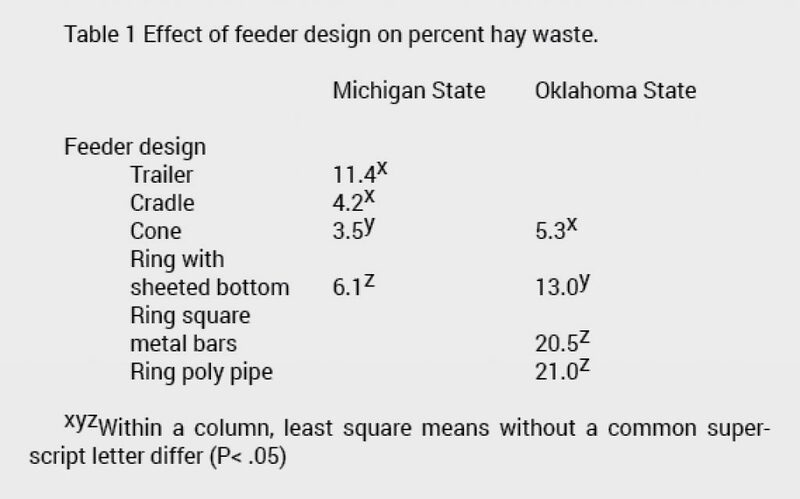 Researchers at Michigan State University (Buskirk, 2003) and Oklahoma State University (Lalman, 2011) evaluated hay feeder design and the amount of waste from each. Table 1 summarizes the two comparisons. The Noble Research Institute has developed a calculator to help you estimate the value of the wasted hay in your situation. You can use the web-based app at: https://nobleapps.noble.org/AGCalculators/Calculators/HayRingWaste. Bale grazing is a method that is gaining popularity for some. The bales are preset during the summer for winter feeding and then ring feeders and electric fence are moved to control access to for a few bales at a time. Depending on the size of the bales, normally livestock are given access for a two- or three-day supply. Each year, the bales are located in a different area of the field where they are to be fed. The bales are about 20-30 feet away from each other. Other producers unroll their hay. They locate the bales at the top of a hillside or incline behind an electric wire. The bales are place so they will unroll. This method does allow for better nutrient distribution from wasted hay and manure. 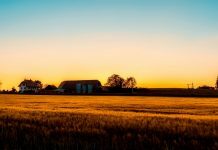 Certainly, a barn or other structure should not be in the line of the bale’s unrolling. Mechanically unrolling bales can help reduce wastage if the unrollers are able to place the feed in narrower and higher mounds. However, unrolling feed can have wastage values as much as 23 percent. Regardless of the method of feeding forages you use, all animals should have access to the feed at the same time. This will prevent your more aggressive animals from consuming all the higher quality feeds. Maintaining body condition this time of year is critical particularly for spring calving herds. Hay is the most expensive use on cattle operations, so manage to reduce feed wastage as much as you possibly can. 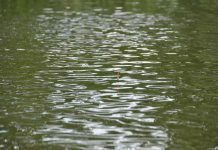 The author is an agriculture and natural resources educator for OSU Extension in Perry County. Send questions or comments to wiseman.15@osu.edu or in c/o Farm and Dairy, P.O. Box 38, Salem, OH 44460.